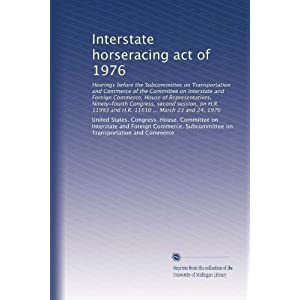 Interstate horseracing act of 1976： Hearings before the Subcommittee on Transportation and Commerce of the Committee on Interstate and Foreign Commerce， House of Representatives， Ninety-fourth Congress， second session， on H.R. 11993 and H.R. 11610 ..